I was quite late to this reading malarkey; if my memory is correct, I must have been around 7 years of age before I got to grips with books and the written/read word. It must be said in my defence though, I sure have made up for the lost time! I was given a copy of the complete Sherlock Holmes canon by Sir Arthur Conan Doyle sometime around 1980 (I would have been 11 or 12 at this time). I think it was probably a Christmas gift from my parents. It contained all the novels and every one of the short stories and was printed in a handsome hard backed cover (green, I recall). The paper was incredibly thin and, unless I am mistaken, I believe their were illustrations on some of the pages. The collection has long since been lost, after eventually falling spar, but I would like to think the illustrations were of the original Sidney Paget ones. 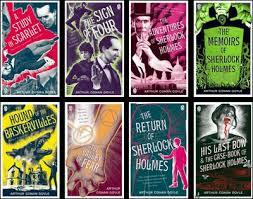 Anyway, I devoured the whole thing in quite a short time and, although I have not revisited the stories in a while, the Sherlockian world has always been dear to my heart and a fond, fond memory. A memory of a simpler part of my life, when all there was to worry about was had you completed your homework in time and would Holmes and Watson triumph over their adversaries in the latest adventure you were lost in. My personal favourite on-screen Holmes and Watson are, without any doubt or competition, the splendid Basil Rathbone and Nigel Bruce from the 1940’s era. Sheer perfection and a delight. Yes, some of the films were a wee bit duff (war time plots etc) but they were so evocative and Rathbone was ideal as Holmes. His Sheriff of Nottingham was quite good too! The latest chap in the role, Benedict Cumberbatch, is superb actor and makes a wonderful, modern day Sherlock. 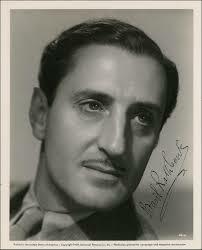 But, for me, my Holmes is encapsulated in Rathbone. Next Post First chapter written.